Diablo 1 Anniversary Patch: Blizzard of The ‘North’ – PLAY! PLAY! 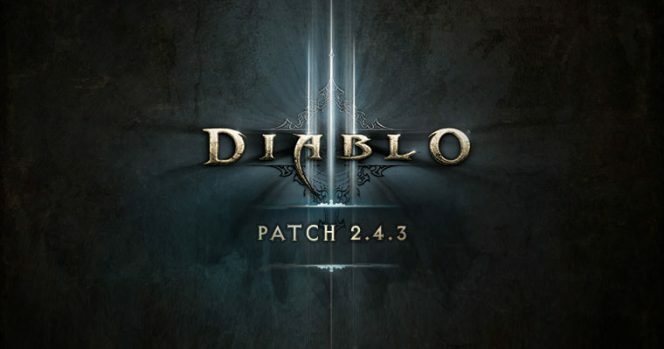 If you are an avid Diablo 3 player then you damn-well know that Blizzard has released the Diablo 3 content patch 2.4.3, which introduces a wide variety of changes that improve and streamline the company’s action RPG, Diablo 3: Reaper of Souls. The most painful thing about this long-awaited update is that it cannot really be described as actual content. Don’t expect new characters (or old ones) or any dialogue (apart from a few narrated scripts lurking around the levels). 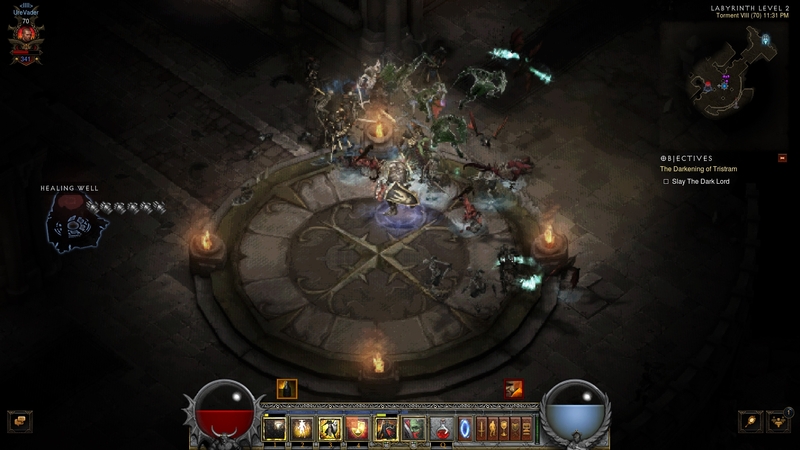 Blizzard is paying homage to its legendary RPG and polished Diablo 3 in the process. At times, it does feel too much like a gimmick, so we sincerely hope you didn’t anticipate some sort of remastered edition of Diablo 1, because that’s not what this is. 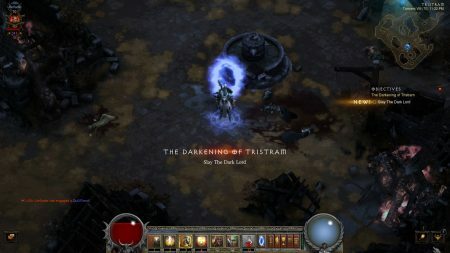 Gamers enter the Adventure Mode and go to a specific section of Tristram. You just select ACT I on the map marked by the all-too-familiar Diablo pentagram. 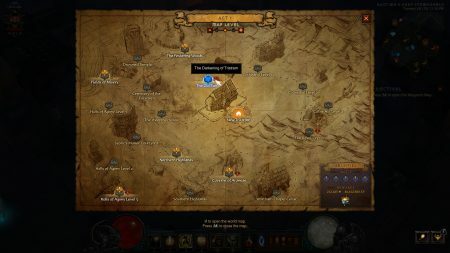 From here on all you have to do is teleport to that area, enter the portal and then clean out 16 dungeon levels. Three of my trusted Diablo 3 mates and myself (Male Crusader, Male Monk and Female Witch Doctor) were eager to try this thing out and see what awaits us. We were promised a fitting tribute to the cult classic, so we hopped into action. 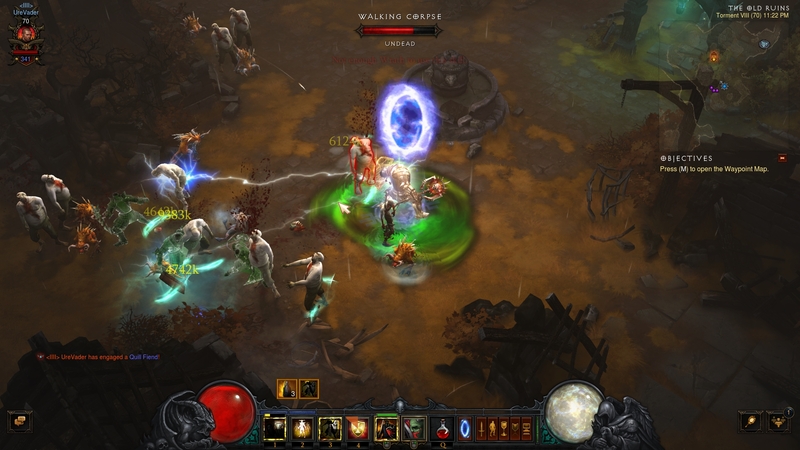 As you step through the portal, you’ll notice that the entire game was given a dandy little old-school makeover, now famously referred to as “glorious retrovision” (that’s what Blizzard calls it anyway). In short, the surroundings are pixelated and character animation movement won’t be as fluent or detailed as in Diablo 3. 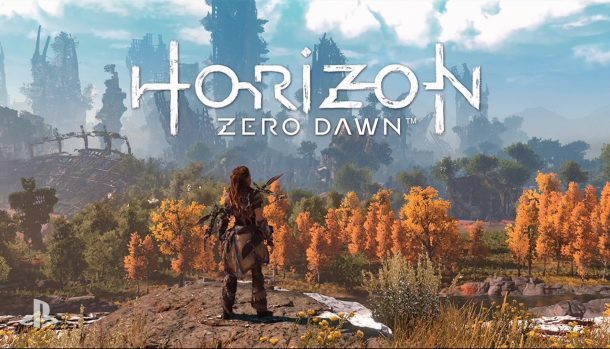 All this in an effort to recreate the vintage ambience, reminiscent of the developer’s RPG classic. Yeah, I also emphasize the word ‘reminiscent’ there, because, once again, this is not a graphically reworked version of the Diablo 1. Still, the look they were going for kind of works. 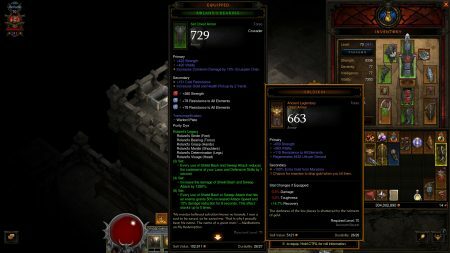 It is a cool trait, one which I’m sure most Diablo fans will appreciate. 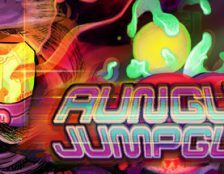 Another cool element comes with the game’s retro-style sound effects, and more importantly, Matt Uelmen’s remarkable soundtrack from the original game. 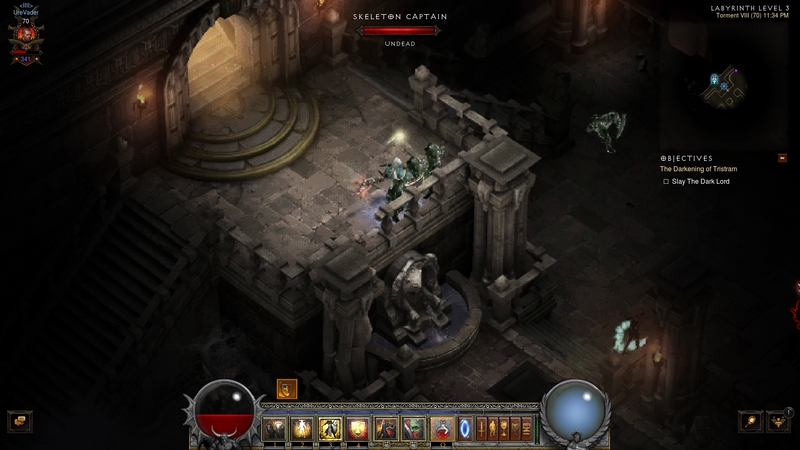 The Diablo 1 soundtrack is filled to the brim with exceptional themes and melodies. Those tunes are as creepy almost as much as they are beautiful, ranging from spine-chilling distant baby screams to the gentle tones of the acoustic guitar theme, crafted to suit the desolate and yet somehow appealingly peaceful town of Tristram. 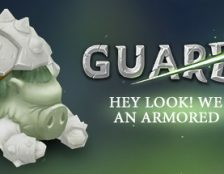 Blizzard also made some adjustments and included a few knick-knacks for passionate players of the Reaper of Souls expansion pack. For one thing, players that overcome 4 bosses in the D1-lookalike dungeons will unlock two new banners: Ogden’s Sign and Ogden’s Brew banners. There’s the Red Soul Shard (Transmog), which appears once you’ve dealt a final blow to the Dark Lord from D1. My personal favorite is the inclusion of the famous Wirt’s Leg (Transmog) as well as Butcher’s Cleaver transmog – ah yes, those take me back indeed. We advise you not rush through the levels. 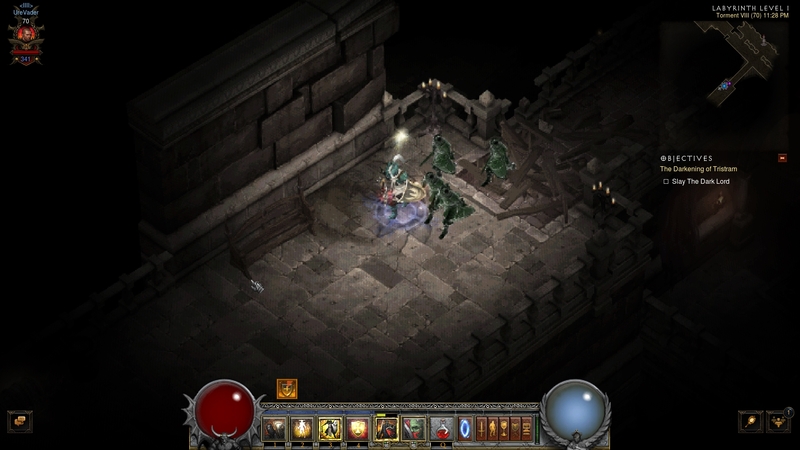 Take the time to explore every nook and cranny in the 16 available dungeons. There are nods to the original around every corner and some them might bring a smile to your face, as your heart sinks into delightful nostalgia. Blizzard North and Blizzard Entertainment changed the landscape for PC RPGs back in December, 1996. For me personally, I consider Diablo 1 to be Blizzard’s first project where they effectively showcased just how brilliant they were at setting up a game with a breathtaking atmosphere. 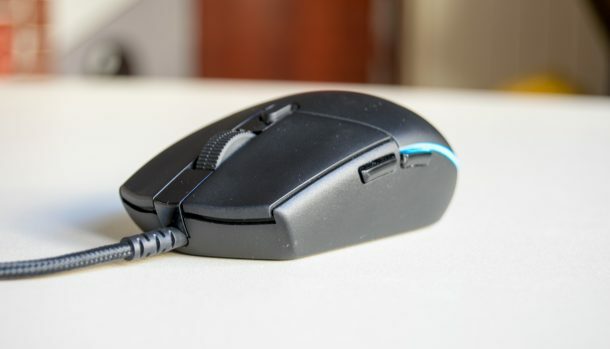 Blizzard captured the hearts of so many gamers around the world and to this day they manage to do so, albeit with different tools and for different reasons. The powerful corporation, now known as Blizzard Entertainment (owned by Activision Blizzard), has little to do with the original Diablo game. 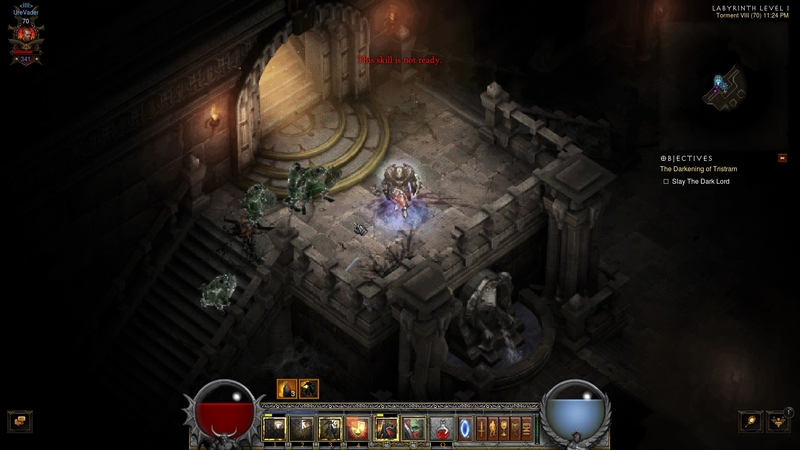 While Diablo 1 was released under the publishing arm of Blizzard Entertainment, the game itself emerged from the hearts and minds of two individuals – Bill Roper and Chris Metzen. They were both working for Blizzard North at the time, which was a separate studio entirely. Bill Roper left Blizzard in 2003, while Metzen departed in September, 2016. 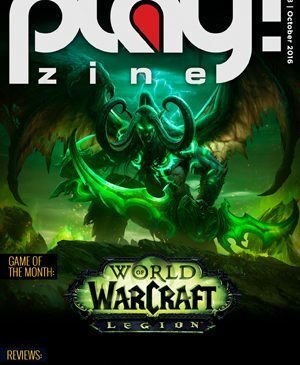 Today, Blizzard stays ahead of the curve with its ability to tap into the current mass market and listen to what their fans are saying. On top of that, they are well-known for polishing the hell out of their products before release – no, I don’t mean they’re releases are perfect. 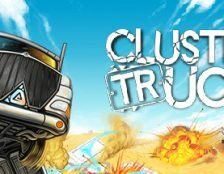 Each major release suffers from issues, as much as any other major triple-A game (especially if it includes online multiplayer). However, Blizzard should be commended for hearing out the community – a tradition they demonstrated when they launched the Overwatch beta and then the full game after that. 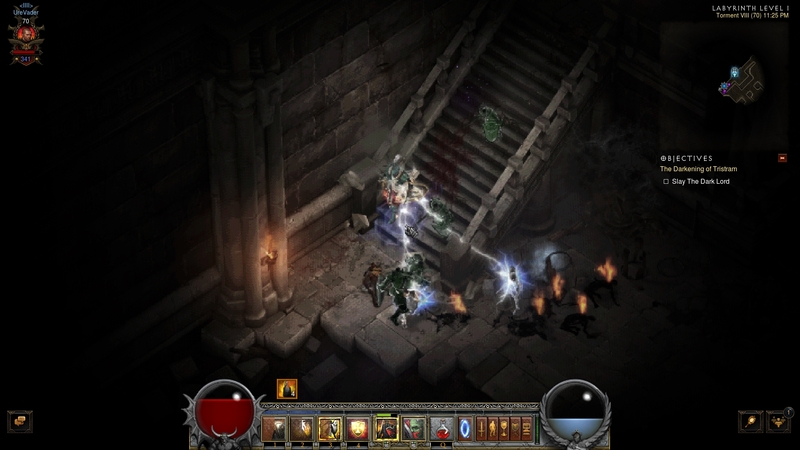 When Blizzard designed the Diablo 1 anniversary patch they turned to the fanbase and community for tips and source material – simply because the original designers did not have much documentation when they made the original. 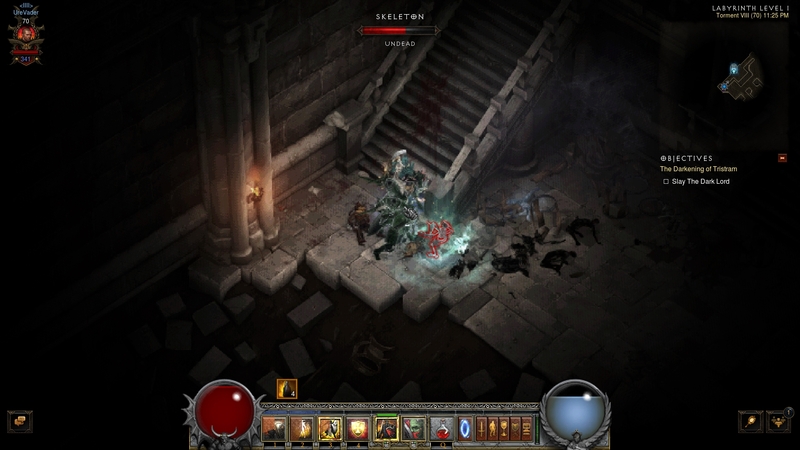 The cult, craze and detailed universe of Diablo was perpetuated throughout the years largely thanks to its loyal followers. In addition, with the tight schedule, Blizzard’s team did not have the time to recreate the old Diablo 1 UI. Still, a few designers devoted their spare time to accomplish this task, so now we have a lovely D1-style interface. 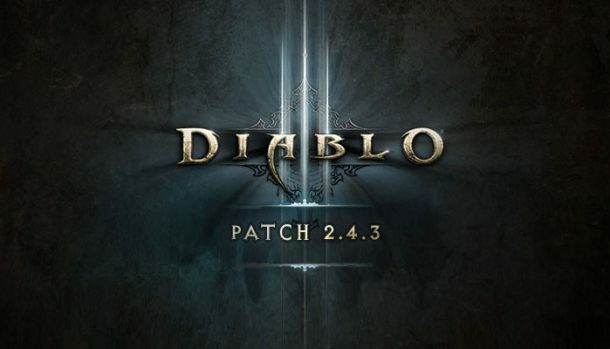 This proves that there’s great passion for Diablo at Blizzard and we are going to see more cool things and more content in future. Until then, we wait for the next add-on for Diablo 3, which promises the return of the famed Necromancer character class, along with an array of new features, items, gear and locations. We wait for Blizzard to listen to the fans… to us. We wait for Blizzard to be brilliant again. 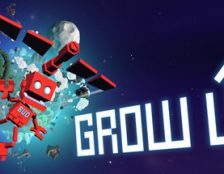 We wait for them to do what they do best – make awesome games. 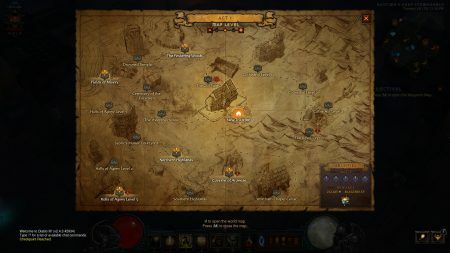 The 16-level Diablo 1 dungeons will be available during the month of January and will return in that same period next year.